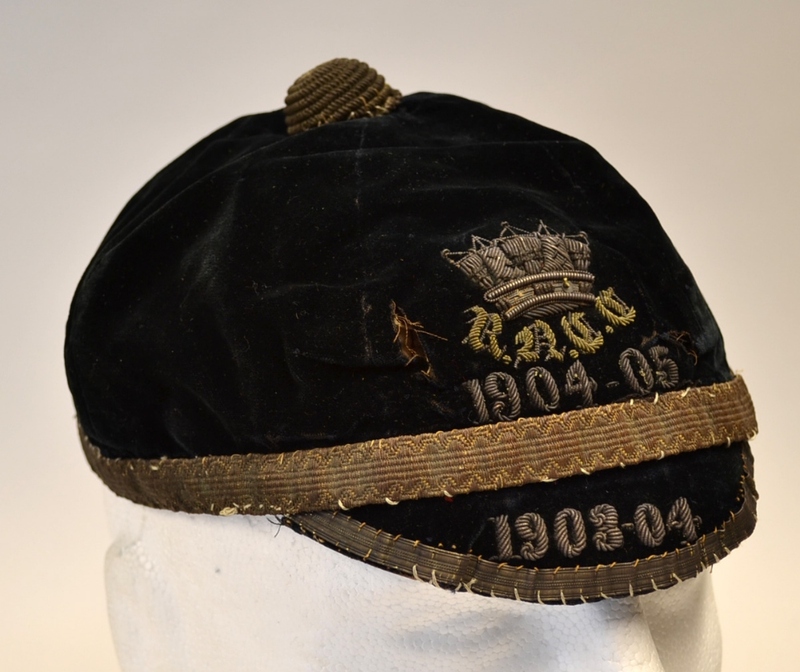 1903/4 Rugby Honours Cap - Royal Naval College (Cadets? 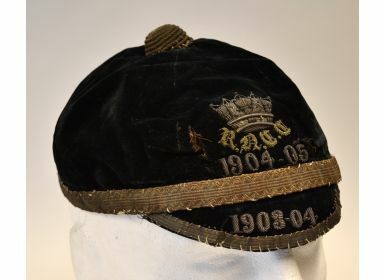 ): Black velvet rugby honours cap from seasons 1903-4 and 1904-5. Some wear to gold braid and tassel, some stitching repair and slight split near distinctive college badge and initials c/w good makers label Benetfink & Co, London.